By Wendy Reed and Jennifer Horne, eds. 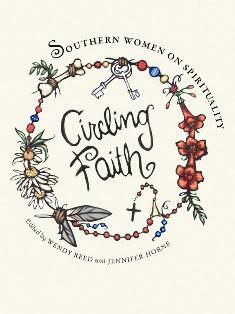 If titles received awards, Circling Faith: Southern Women on Spirituality might take top prize. The book itself forms a literary and philosophical circle composed of smaller circles, capturing in form and content the complexity of Southern women’s Christ-haunted wrestles with trust in the unknowable. Jennifer Horne’s and Wendy Reed’s skilled editing crafts intricate links to form an enclosed sacred space that steps cautiously around itself. The beginning meets not an end but instead a promise of renewal. This collection brilliantly continues and transcends what Horne and Reed accomplished in the superb All Out of Faith (2006, same subtitle). Their contributors seek, keep, embody, question, and transform that ever-enigmatic “it” we sometimes embrace and at other times approach as if avoiding collision. Mary Karr is a “seeker” whose essay, “Facing Altars,” starts Circling Faith. 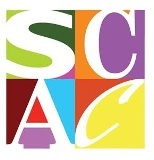 She shares—confesses—her reluctant journey from non-believing poet worshipping at the word-altar to born-again Catholic for whom poetry is prayer is poetry. Karr’s piece joins the “Seeking” section’s last essay, Susan Cushman’s odyssey from embodiment of virtue (minister’s wife and a “nun phase”) to novelist. Writing and some writer friends give Karr a context for faith, while Cushman’s faith and some nun friends lead her to writing. The Divine Feminine weaves herself into the book’s texture, apropos when you remember that both the uroboros and nature’s cycles symbolize her regenerative powers. If the Goddess’s body is the Earth, then she makes a dazzling cameo appearance in Beth Ann Fennelly’s essay in which geophagy becomes a metaphor for faith. This unlikely eucharist begins the volume’s “Keeping” link and resurrects a deity both more ancient and, paradoxically, more immediate than the “body” central to the more likely ritual. The cycle continues with Brenda Marie Osbey resurrecting the sacred feminine through her musings on voodoo mothers who are nothing if not another manifestation of archetypal female power. Osbey bares these mothers’ teeth to reveal a loving ferocity that joins hands with Mother Earth’s regenerative majesty. Each of the other three links—“Embodying,” “Questioning,” and “Transforming”—present cyclical symmetry. Amy Blackmarr’s celebration of the sacredness in ordinary objects comes full circle with Margaret Gibson’s head-on crash with the flesh-and-blood reality of an unattainable virginal ideal. Rheta Grimsley Johnson’s unapologetic acknowledgment that her love for Christmas rituals doesn’t logically match her disbelief in Christian myths joins hands with scientist Mitzi Adams’s argument that good and god-less purposeful living precludes the need for either ritual or myth.